Spring Hanger (25 mm) that we offer is available with 25mm standard deflection. 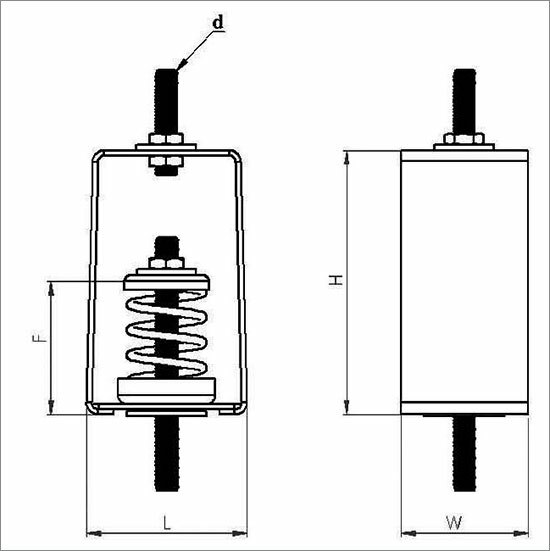 Our Spring Hanger is extensively used for isolation of vibration produced by suspended mechanical equipment, low speed suspended fan, transformers, ductwork, piping, etc. It is especially recommended for isolating any suspended source of audible or inaudiable noise and vibration with minimum static deflection requirement exceeding 13 mm and up to 25 mm. 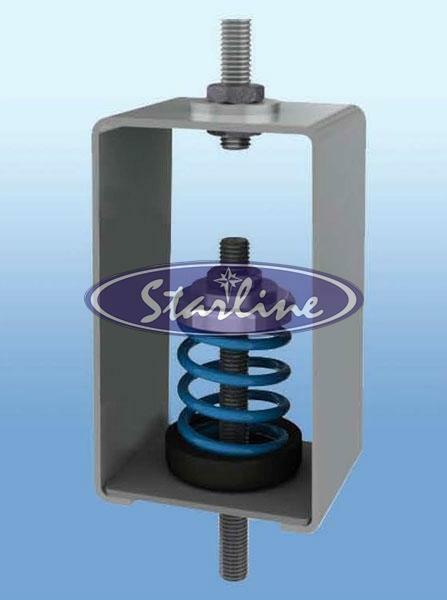 We make available bulk quantities of our Spring Hanger at very economical rates. Option : Frame Hot dip Galvanized. Part Number prefix with "HDG". Selection / Ordering : Point load (Calculated to include all variables such as weight of water in pipe lines etc. If applicable).